Last year, father and former teacher Bert Fulks’s simple parenting idea went viral: If your teenagers find themselves in a situation where they feel uncomfortable or trapped, they can text a family member an “X”. That family member will then call, giving the teen a way out, while still maintaining their freedom - and no questions will be asked. 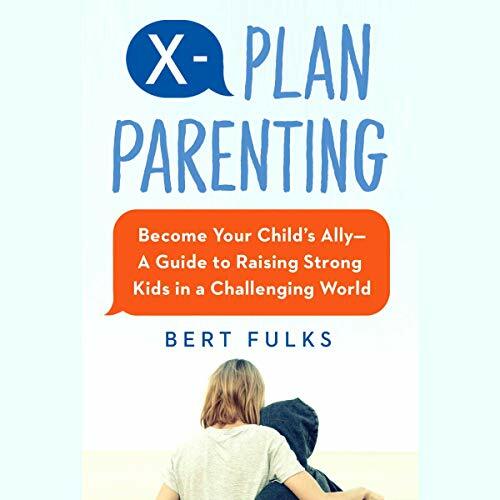 Now, in X-Plan Parenting, Fulks expands on the how and the why behind his plan, emphasizing the importance of developing trusting relationships with our kids. Drawing on biblical principles, Fulks’ approach illuminates how even though we want the very best for our children, we sometimes parent from a place of brokenness and a desire for control rather than support and encouragement. We focus on our mistakes and painful growing-up moments and the things we wish we’d had when we were kids instead of what’s best for our own children right now. This dynamic can pit kids against their parents and create rifts in the relationship. Fulks advocates for an alliance between children and parents instead of an “us vs. them” mentality. Rather than spending so much time coaxing or battling our kids, Fulks inspires us to work with our kids instead of against them. And rather than trying to right our own past wrongs vicariously through our children, he urges us to recognize where we need healing so we can provide authentic strength to support our kids’ unique journeys. There is a tender art to disciplining our kids, and X-Plan Parenting serves up laughter and tears, hard questions, and plenty of grace to moms and dads who want their kids to love God and lead passionate, joyful lives in an unpredictable world.